The Low Down: Marisol Reyes is a Latina high school student living in East Harlem. More than anything she wants to be a professional singer. She gets to show off her skills working for her friend, Cisco, while he djs and she gets the karaoke started in clubs around the city. She’s a driven girl, but sometimes that means that she can’t hang with her on-again, off-again boyfriend, Julian and her best friend, Vanessa. But then the unexpected happens: the manager of a famous (and Marisol’s absolute favorite) Latino singer hears her sing one of his songs at a karaoke party, and next thing she knows, she’s singing for HIM – Diego Salazar. Could this be her big break? Someone puts a video on the internet of Marisol singing, then she’s working a party in the Hamptons. Then…she meet hip hop artist who not only seems interested in her voice, but her. Torn between two different potential managers, what should she do? Why is her life changing so fast…and does she have to leave everyone she grew up with behind? The What What: While interesting in theory, Piece of My Heart never lives up to its full potential. Overflowing with problems, issues and drama, the main character just sails over everything without a hitch. It’s like there’s all this tempest around her, but she just soldiers on and gets what she wants. The drama with Blend, the hip-hop performer, had promise, but before you know it, it’s over. Many of the characters just weren’t that likable, so who cares that they’re ditching Marisol? I just didn’t feel a connection with anyone. The book would have been much better served if there had been fewer plot points and more depth. 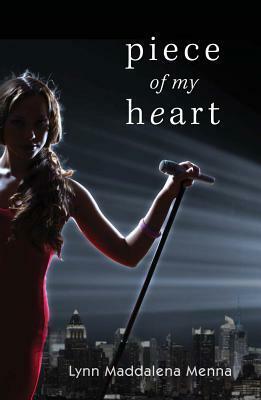 Piece of My Heart by Lynn Maddalena Menna was published today by Merit Press. A free copy of this book was given to Ink and Page in return for an honest review. Big thanks to Merit Press and the Author.